Due to four traffic accidents on the motorway I managed to miss my Friday night 6.30pm flight. Emily and Elliot (cameraman) went ahead and got on the flight to Craiova. I managed to buy another flight ticket but to Bucharest not Craiova so I would need to get the night train to Craiova but as I tried to check in I was told flight had been overbooked and I had to wait to the end before I could go through security in case all passengers turn up and I wouldn’t get a seat! It seemed it wasn’t going to be my lucky day! So I waited 3.5 hours and yes I could get on the flight! Boarded that flight at 11pm which then left 30 mins late and arrived in Bucharest at 3am. It was blistering cold, windy and raining. 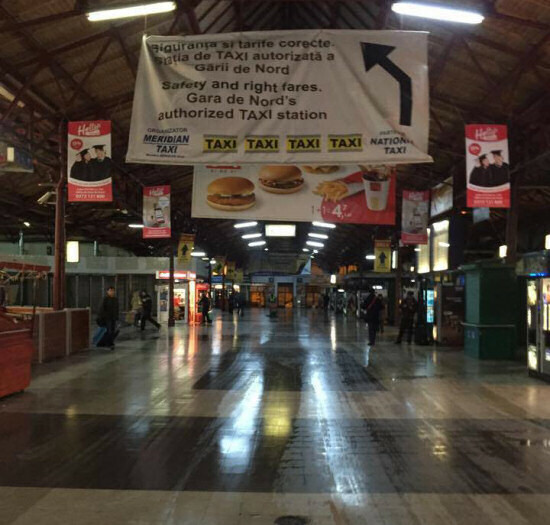 Jumped into a taxi to Bucharest train station which is around 20 mins from the airport. We seem to be the only car on the road. Got to the station around 3.45am, sitting huddled right by the ticket office was the most gorgeous husky-type stray dog. As I bought my ticket my mind was ticking who can I contact to rescue this dog. The train station was wet, cold and windy and the only people there were either homeless, drunk or on drugs. It wasn’t a nice place to be. I waited inside a fast food place to keep warm. I boarded my train at 5.30am and it left at 5.45am. I managed to fall asleep with my head on the table for 30 mins only. I woke up with a big indent in my forehead. Train arrived at Craiova late at 9.15am and I was picked up by Mada, Emily and Elliot. Having had next to no sleep I felt like a zombie. First stop was Breasta; I was dreading this as K-9 Angels had only been here a few weeks ago and since then a killing spree had taken place, I knew many of the dogs we had noted to try and help could maybe be dead already. Picture the scene, we arrive at Breasta more like a concentration camp for dogs than a shelter, it’s pouring with rain and bitterly cold . 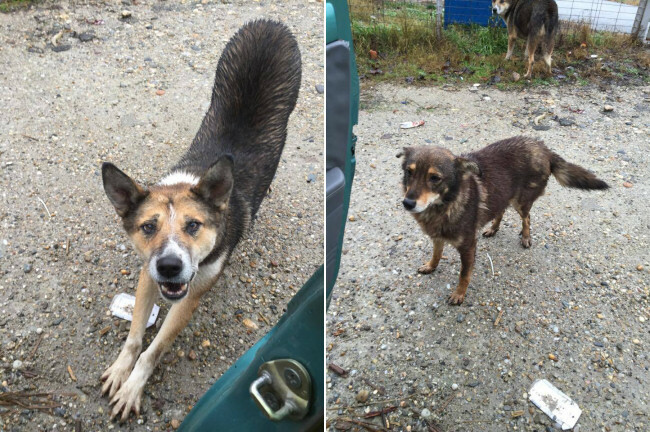 Two beautiful dogs greet us at the Breasta gates, these dogs should be in homes not sleeping outside on concrete and exposed to the elements. As we go inside I notice that there are only around 100 dogs at the shelter, we had never seen it so bare! Usually 400-600 dogs beg for love or cower from fear, but not this time. They had killed the dogs!! We showed Emily around. Emily couldn’t believe what she saw and as she filmed it became extremely difficult and upsetting as she filmed the horror of what neglect and suffering looks like. The remaining 100 dogs where all shivering from the blistering cold, they had to keep lifting their paws because the ground was so cold. They we’re painfully skinny. We noticed a few who had fully blown distemper as their noses weep white liquid and limbs shook unfortunately I don’t think these dogs will make it. A tiny puppy squeezed himself through the bars to get to us so we scooped the puppy up and named him Tiny, Emily wrapped Tiny in her coat and in that moment Tiny’s future had changed forever. We quickly filmed our appeal and went to leave with Tiny in hope we can raise some more funds to go back to help the poor souls left behind. Just before we left a little ginger dog begged us for help. This was all too much to bear to be honest. Note: Aurelia/Mada will collect the begging dog tomorrow. We took Tiny straight to the vet to be treated. 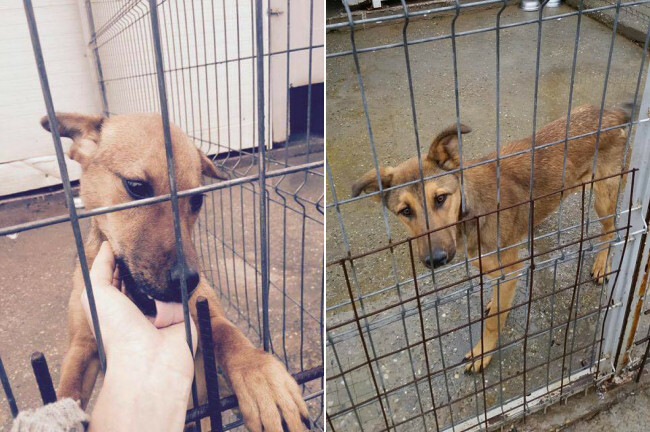 While there we quickly visited the Betaland/K-9 Angels shelter to carry on with our video appeal. Note: unfortunately Tiny tested positive for Distemper, please keep your fingers crossed this puppy will make it. We desperately want to build several more insulated dog houses that can hold between 20-30 dogs, that way we can take more from that Breasta hell hole. 2pm and it was time to get the train from Craiova back to Bucharest to catch our flights home. We said our goodbyes to our team Aurelia and Madalina and once again we left with a heavy heart but hopeful we would be able to raise funds to remove the Breasta dogs ASAP before it’s too late. Back on the 3.5 hour train journey and with a very tired mind from zero sleep I started to think who to contact to help with the Husky I saw at 5am that morning. Suddenly, yes you’ve guessed it, our train broke down! And we were told it would be stuck for at least an hour before something in the engine was changed. In disbelief we noticed a tiny fluffy puppy actually standing on the train track with the guard casually standing just a few feet from the puppy. No mum around, so I opened the train door and shouted to the guard please bring the puppy to me, he passed the puppy up and we took the tiny mite into our carriage and wrapped him up in Emily’s coat. We named the railway pup Thomas, and in that moment Thomas’ life, too, has changed for the better. 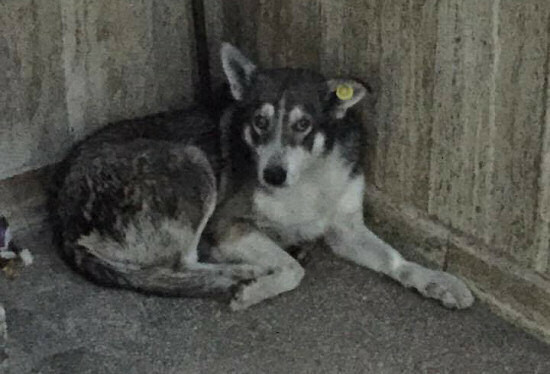 I asked around a few rescues online to see who could collect Thomas and the husky at Bucharest station. It was great to see different rescue groups and individuals working together to help these dogs. Thank you to Amanda Leask, Kendra Pinder, Alina Stan and Ionut and anyone else involved for your quick thinking and quick action. We were stuck on the train in a remote part of Romania for 1.5 hour. While filming on my phone where exactly we had spotted the puppy I suddenly saw another puppy, I couldn’t believe it. No way would these pups survive here in the blistering cold. The train took another 2 hours to Bucharest train station. Thomas and George had their first ever hug and food on the train journey. 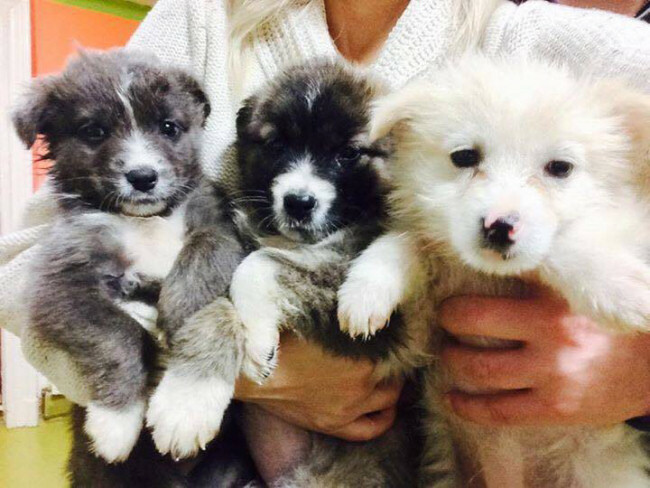 Met by Ionut (rescuer) who was taking the pups and Husky to the vet to be checked then they would go into foster to be cared for by Alina Stan. Forever homes needed for these dogs. Gary (Norton animal rescue) who now lives in Romania and rescuing dogs also met us with 2 rescue colleagues at the station to say hi, and again fate intervened. Never a moment without drama. While still at the train station we noticed a very drunk man manhandling a tiny white puppy, so we managed to persuade this man to hand the puppy over. The puppy who we named Marilyn stank to high heaven of Special Brew! This man was using the puppy to beg, and not only that he was handling the tiny pup in a very rough manner indeed! Happy to say this puppy now named Marilyn went with the 2 other puppies (Thomas and George) to the vet with the husky (Hero) and Alina Stan will foster and take care of them until suitable homes can be found. Funds needed to pay for vets, foster, food etc. and homes needed for the 4 railway dogs. Because the train had broken down we had missed our flight back to the U.K., but managed to help the 4 railway pups. What a long crazy day! Gary (Norton animal rescue) and friends dropped us at the airport hotel so we could rest a little before our 9am flight. Now the work begins. I can’t say this enough but without funds we are powerless. I can’t even go into how terrible it is too see so many dogs dying at Breasta to have to then walk away because we cannot help them. The K-9 Angels want to help as many dogs as possible especially as its winter and bitterly cold. Please please donate, spread the word, hold a fundraiser, tell your friends and family, adopt rather than buy and save a life. Together we can save many lives. Thank you to the wonderful presenter Emily Hartridge and wonderful cameraman Elliot Milner. 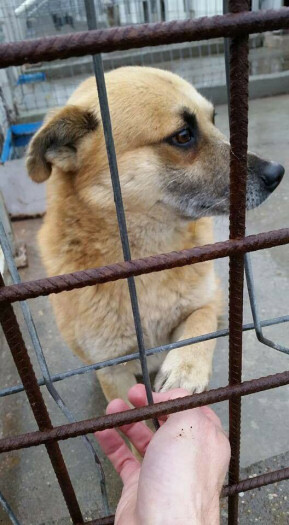 Thank you to our Romanian team Madalina and Aurelia see you very soon and we hope to be able to build more dog houses at the Betaland/K-9Angels shelter to house more of the Breasta dogs. 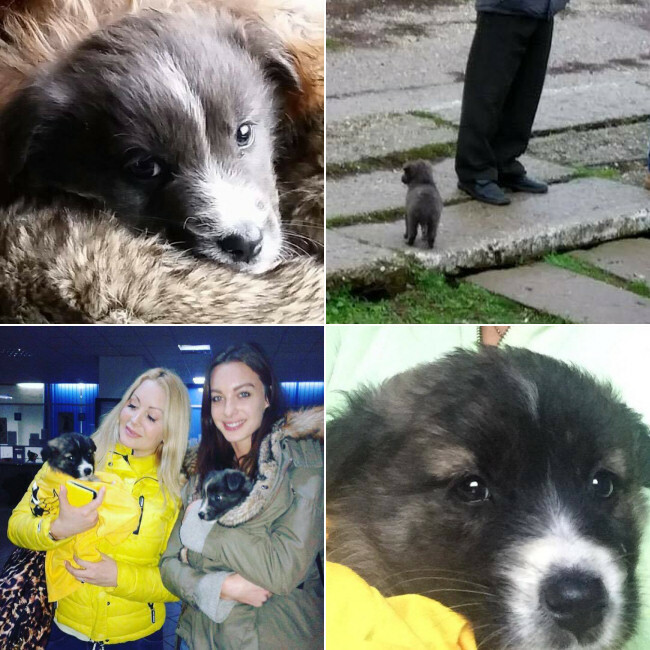 And once again thank you to the very helpful and fast thinking rescuers Amanda, Kendra, Ionut, Alina for your help with the 3 railway pups and railway husky. I believe in fate, and I believe most things happen for a reason. 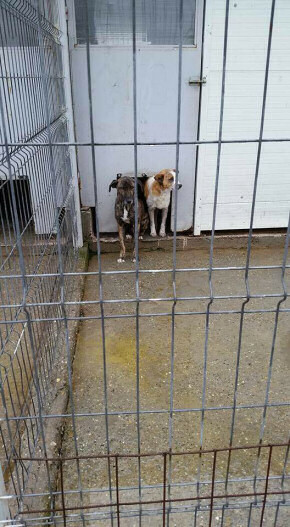 Because of fate, 6 dogs lives will be forever changed.